The precursor of ThaiMinh is the Marketing Department of International Medical Consultants Company Limited (IMC). Head of Department – MS.DS. Nguyen Quang Thai – Chairman of ThaiMinh Pharmaceuticals JSC, which was a student of Hanoi University of Pharmacy, sent to Russia to study at the Academy of Pharmaceutical – Sankt-Peterburg. He with Marketing Department of IMC came up with ideas, developed and marketed the products namely Trang Phuc Linh , Maxxhair from the initial idea to be turned into a cooperative product between Thai Minh – IMC and LOHHA. Let’s review the special things of Thai Minh !!! 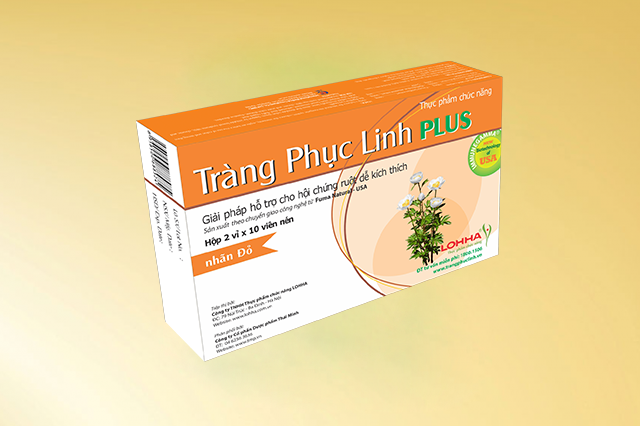 Incubating the idea of ​​changing the consumption habits of Vietnamese people in the pharmaceutical industry from foreign products to domestic products (Vietnamese branch), based on products with outstanding qualities and being carefully researched, professionally Marketed and widely distributed in the market, ThaiMinh Company was established to become a convergence of these core elements. Accordingly, Thai Minh advocates the development of natural origin products produced at Vietnam (not prioritizing imported products), and especially the products need having high quality and apparent supporting therapeutic effect, bringing significant change in the quality of life of Vietnamese people. By owning and developing the well-known brands in pharmaceuticals, cosmetics, food supplements, ThaiMinh will gradually build a big business which aims to become one of the top ten in Vietnam’s pharmaceutical industry by 2020. Thanks to the support in the early days of operation from the partners including IMC, Vien Bang company, LOHHA company, Thai Minh are growing gradually and developing constantly. Thai Minh is proud to be one of the major strategic partners of IMC. In the list of products that have been sold for many years in the market, Maxxhair, Trang Phuc Linh, Trang Phuc Linh Plus are the leading products trusted by patients. “Achieving goal together, rewarding big money” is the common goal that entire ThaiMinh employees work towards. ThaiMinh is one of the few companies that all problems or achievements of the company are shared by the Board of Directors with all employees. Perhaps, this is an important key bringing success to ThaiMinh. No one can deny that Director of ThaiMinh is extremely nice. Employees are the company’s greatest asset so they are regularly “maintained” periodically. Organizing the Pool Party for all employees, or give gifts to all staffs when Vietnam U23 football enter the finals of AFC U23 championship proved for the generous of Director. Rarely is the boss nice like that!